Bare-metal servers provide access to the full processing power of dedicated servers to meet the unique requirements of high-performance workloads and applications. Flexible billing options, including term-based and usage-based billing down to the second, allow you to pay for the infrastructure you need when you need it. OnMetal Cloud Servers are an ideal solution for customers looking to run workloads such as Cassandra, Docker®, Spark and Windows that require intensive data processing, raw compute power and the ability to quickly scale and deploy. This offering gives customers bare metal speed, with the control, security and consistent performance comparable to dedicated hardware. 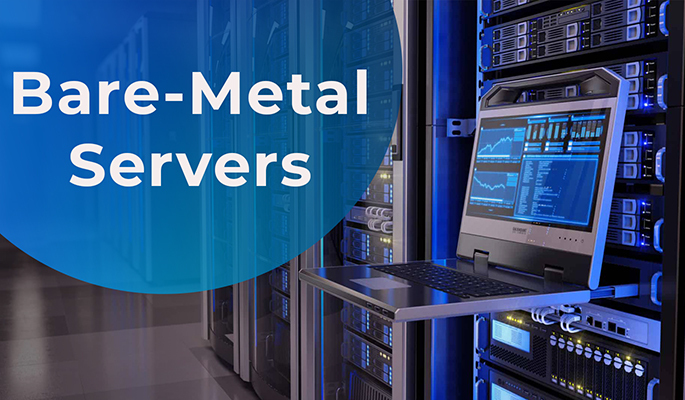 OnMetal Cloud Servers help increase efficiencies at scale, allowing customers to reduce the cost and complexity of their IT operations by consolidating workloads from many virtual environments to a few bare metal servers. Next generation of OnMetal Cloud Servers will integrate with Cloud Networks and RackConnect® (available in the second quarter of 2016) to provide enhanced levels of secure networking across all servers and devices within the customer's environment. Next generation OnMetal Cloud Servers are available internationally, with regional coverage across the U.S. and U.K., decreasing latency for customers around the globe. Next generation OnMetal Cloud Servers are faster, higher capacity and more reliable than the first generation. The bare metal servers feature improvements of 250% in write performance, 40% in reading performance and include up to 800 GB of local boot drive storage capacity. Also, they feature RAID 1 mirrored storage with 2 hot-swappable disks to improve uptime and help to reduce the risk of lost data. Next generation OnMetal Cloud Servers are built on second generation Open Compute servers, featuring the latest Intel Xeon E5-2600 v3 processors. Additionally, the next generation of OnMetal Cloud Servers offers an improved selection of guest images, with support for Windows available in the second quarter of 2016.